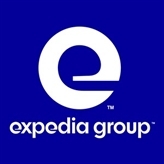 At Expedia our mission is to revolutionize travel through the power of technology. We are looking for an experienced, collaborative and team centric Software Engineer to help deliver seamless online Checkout experiences to our customers. Checkout is the heart that pumps blood through Expedia’s veins. Sitting at the sharp end of the conversion funnel our platform processes millions of bookings a week from customers across the globe using any one of our 40+ localized websites or our award-winning mobile app. It’s an exciting time to join the Checkout team as we embark upon our journey to the cloud and set about building our next generation platform on a modern microservice architecture. Would you like to help build a market leading customer facing web application, solve hard problems at scale and contribute to mission-critical software with a direct impact on the bottom line? If you answered yes, then this is a great opportunity for you! All of this and you'll get to experience the dynamic, diverse and collaborative agile working environment we are so proud to provide. Experience with AWS EC2 is a plus. 1-3+ years of experience in software engineering.